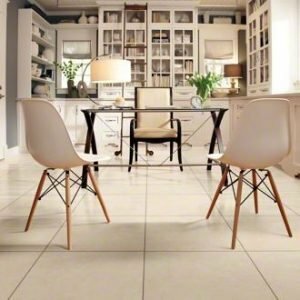 How often do you hear the acronyms LVT or LVP and wonder what in the world they mean and how you are able to use them in your home? We answer the question quite often for clients who are considering a renovation, an addition or a new build and are happy to share the knowledge! Let’s begin with the classic and timeless flooring, hardwood. The distinctive character and elegance of a hand scraped, wide plank hardwood can add so much value to a home – both visually and financially! It’s said 90% of homeowners prefer hardwood floors in the main living space. Not only can the decision please you and your family in the moment, but for years to come when the topic of resale is mentioned. Readers might be curious – where should I not install hardwood? 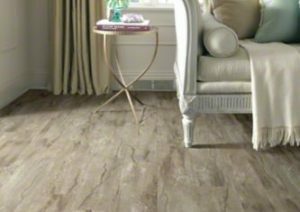 We recommend installing a luxury vinyl in lieu of hardwood in areas of extreme high traffic, moisture, or heavy play areas (kids or pets)! 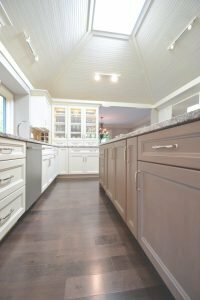 For spaces within your home or business receiving heavy traffic, muddy boots, an appliance using water – consider a product called luxury vinyl plank (also frequently referred with the acronym, LVP). LVP can take on the look of wood or stone with a high resiliency ready for all the fun in a kitchen, utility room, playroom, or even bathroom. How about those of you who want the durable, budget-friendly, beautiful surface of vinyl but with a ceramic tile visual? There’s a product for that! Luxury vinyl tile or LVT. As if vinyl products haven’t proven themselves, another great benefit is sound insulation –the upper level playroom, craft room or laundry room would be a perfect installation area for your favorite LVT product. Let’s hear how you would use hardwood, LVP or LVT in your home! Comment below or be sure to visit ACo f/k/a The Affordable Companies and let one of their experienced designers help select flooring for your next project! Visit their website at http://liveACo.com or give them a call to schedule your appointment at 317.575.9540.